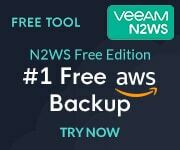 Greetings friends, probably you have heard the news that told us how Veeam had acquired N2WS, a company that is dedicated to the protection of environments in Cloud on Amazon Web Services. 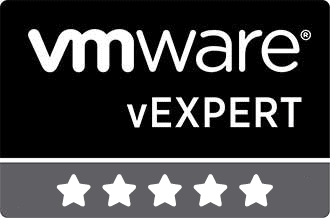 Why did Veeam acquire N2WS? N2WS is a leader in Infrastructure as a Service (IaaS) data protection, providing a native cloud backup solution specifically designed for AWS workloads, enabling organizations to back up data and applications as often as needed and recover them in seconds. 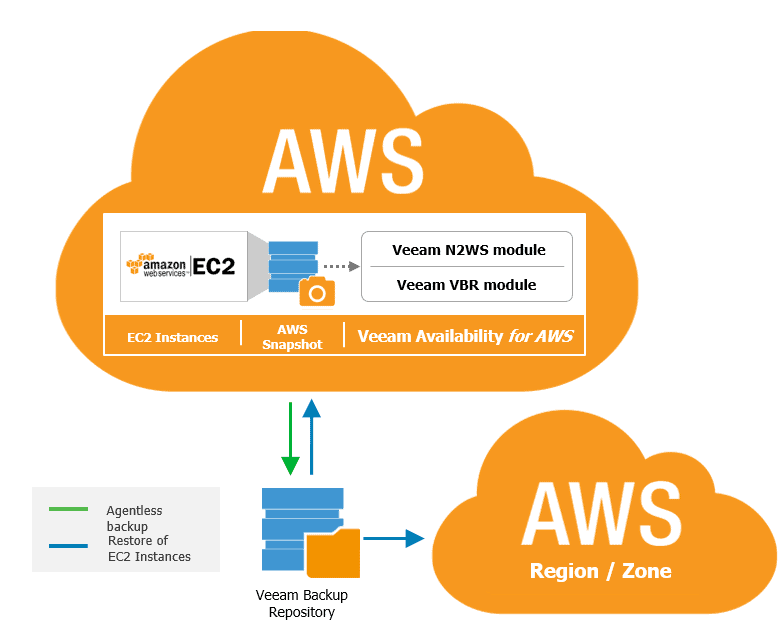 As Veeam customers seek to move more workloads into the cloud, especially towards AWS, protection and availability of their data is a primary concern for Veeam. 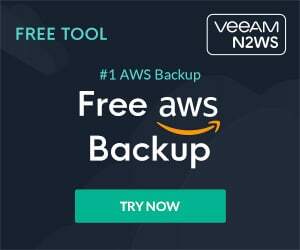 Veeam’s goal is to give its customers the confidence that Veeam ensures that their information is protected no matter where it resides, and this acquisition gives us the #1 solution we need for data and application protection at AWS. For those of you who are not up to date on Amazon Web Services, we have several elements in the Computing and Storage part. Block: Storage the block provided by Amazon EBS that is persistent and Amazon EC2 Instance that is ephemeral and is destroyed when the Instance is destroyed. File: Amazon offers us Amazon EFS that we can connect to our instances and launch files there. Object: The already known Amazon S3 for access to non-continuously used items and Glacier for very cheap storage that we access only for archiving. As we can see in the diagram, EBS gives us many more guarantees thanks to being able to make snapshots, replicate between different zones, select if we want them to be SSD or HDD, auto recovery, etc. vs. the poor storage of EC2 Instance Store that is basic. How far can we go with EBS and snapshots? 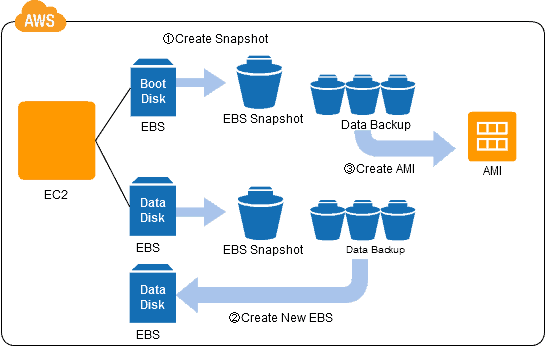 The option to make snapshots of the EBS is very interesting and allows us for example that on one instance we have in the Availability Zone A, and another one in the zone C, to launch snapshots to a Simple Storage Service and from there move it to another region or between accounts of AWS, very powerful. 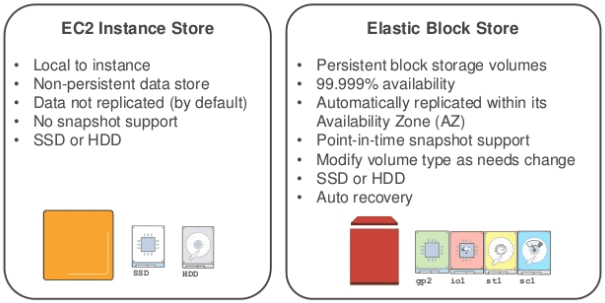 The Elastic Block Store (EBS) includes, as mentioned above, the ability to perform snapshots. When a snapshot is made, it is stored in the storage of Amazon Simple Storage Service (S3) objects, which is designed to have a durability of 99.99999999999%. When an EBS snapshot is made, all data necessary to recreate the EBS volume is copied to S3. A snapshot that has been stored in S3 can be recovered as a new volume of EBS. Even if data is lost or corrupted in the EBS, we can recover the data from the moment the snapshot was taken. When we use EBS as a data disk, we can back up our data at any time by taking a snapshot. We can take as many new backups as needed, whenever necessary, without having to worry about storage capacity. When using EBS as a bootable disk, we can make a copy for each operating system and save it as an Amazon machine image (AMI). We can launch a new EC2 instance from that data. Backing up can be controlled using Amazon’s own interface. That is, we can automate the process instead of having to back up manually. We can use S3, which is highly durable and archived, as a backup destination. We can back up all the EBS volume data in a snapshot, which allows us to immediately use the snapshot to create a new EBS volume. This facilitates recovery in the event of failure. We can back up not only user data, but also individual operating systems. Because the backup for each operating system is stored as an AMI, we can start new EC2 instances. We can take data in specific circumstances (for example, after replacing an application or after updating the data) and we can take multiple copies, without having to worry about storage capacity. This allows us to easily rebuild the environment after a failure or problem, allowing us to return to the environment at any given time. N2W provides backup and disaster recovery solutions for workloads in Amazon Web Services, more particularly for AWS EBS and EC2. Enables backups using the native AWS API of snapshots across regions and even between AWS accounts, and is aimed at enterprises looking for end-to-end cloud backup and disaster recovery solutions. All this means that the solution is completely agentless, and no agent needs to be installed in the AWS EC2 instances. For Disaster Recovery, N2WS and its Cloud Protection Manager (CPM) are taking snapshots locally for a quick backup and restore option. There is an option to create a replication policy that can send this snapshot and only that snapshot to another region within AWS. All this is limited to AWS, nothing comes out of the public cloud of AWS. 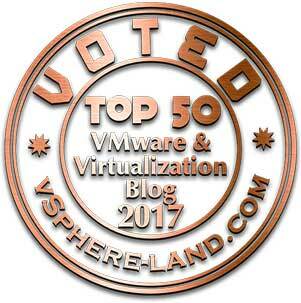 Veeam has revolutionized data protection and management in modern, highly virtualized private cloud environments based on VMware vSphere and Microsoft Hyper-V.
With N2WS, Veeam will revolutionize data protection and management for the AWS public cloud, providing the most complete availability solution that helps companies move reliably to and manage multi-cloud environments. 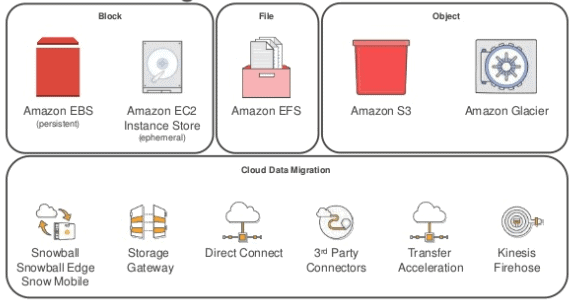 This solution mitigates the risk of losing access to your applications and ensures that our AWS data is protected from accidental deletion, malicious activity and disruption; with backup and restore for Amazon Elastic Compute Cloud (EC2) instances native to the cloud. AWS provides a robust cloud platform for customers to create and deploy enterprise applications without the financial burdens and time commitments of building and maintaining our own infrastructure. But regardless of platform – in the cloud or locally – our applications and data are our responsibility.